Pioneer DJ and Algoriddim have announced the djay Pro 1.4.3 now works in Nexus 2 DJ booths, meaning DJs can use Spotify's integration into djay Pro to DJ from that platform in pro situations for the first time. Algoriddim's djay Pro software is now officially Pioneer DJ-certified. You can plug your Mac running djay pro into a Pioneer Nexus 2 system (or the ridiculously overblown TOUR1 system) with a single USB cable, and take complete control of the software - including DJing from your Spotify account, thanks to djay Pro's built-in Spotify access. Alongside Traktor and Serato, that makes djay Pro 1.4.3 the latest third-party option for Pioneer Nexus owners who don't want to use Pioneer DJ's own Rekordbox software. Just as importantly, it means that fans of djay Pro can now use it in pro DJ booths without extra worry or hassle. djay Pro, while not being a frontrunner in the DJ software world, is certainly a contender, being for many the best Mac DJ app. With that aforementioned Spotify integration (right up to 320kbps MP3 quality), and also with its recently improved beatgridding (to cope with variable BPMs: djay Pro 1, Traktor Pro 0), it certainly offers something a little bit different. 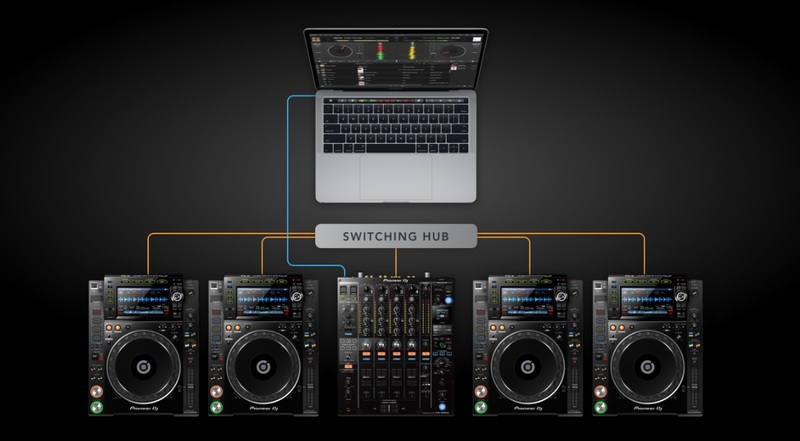 Here's how djay Pro works with Pioneer's Nexus 2 gear. As long as the Nexus 2 gear is properly networked together, a single cable is all you need to control djay Pro 1.4.3 on your Mac using the media players and mixer. It's always worth mentioning that it has wide compatibility with modern DJ controllers too, a list to which Pioneer's DDJ-RB and Numark's Mixtrack Platinum have just been added. However, it's the official Pioneer DJ Nexus 2 integration with a single cable that is most impressive about this news, especially the "knock on" benefit of being able to DJ from Spotify as well as your local music collection. • Find our more about Algoriddim's djay Pro 1.4.3 over on the Algoriddim website. 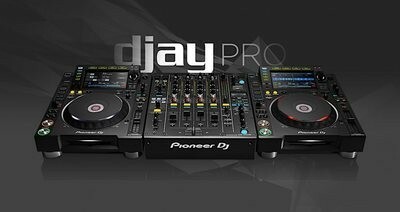 Do you use djay Pro? Are you excited to give it a go on Pioneer DJ gear? What do you think of Spotify now being available to DJs in pro DJ booths? Let us know your thoughts below.